That is the question that Dane Ortlund recently asked some biblical scholars and pastors to consider. Not all of them did it one sentence, and one of them used Latin. But here is what some biblical scholars had to say. Many are from the reformed point of view. I have included my own attempt at the bottom. The Bible is the story of humanity’s pursuit of and interaction with the divine, focused on the ultimate hope that all of creation will be restored. What do you think? Can you describe the Bible in one sentence? 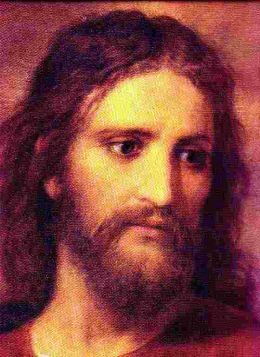 Josephus and Jesus: how much can we trust Josephus? This must be historical Jesus week because I have had a few posts related to the topic. On Monday I linked to James McGrath's post on What did Paul know about Jesus. On Wednesday I linked to Mark Goodacre's NT Pod on Did Jesus exist? Today I want to highlight two video interviews with John Barclay about the Jewish historian Josephus. Professor Barclay is the Lightfoot Professor of Divinity at the University of Durham, which is also my alma mater. In the first video Barclay gives an overview of Josephus and his place in history. In the second video he discusses the problematic passages in Josephus that mention Jesus, James the brother of Jesus in Book 20 of Antiquities. They are each less than 10 minutes, but they provide a balanced treatment of the topic. HT: James McGrath and Ari. 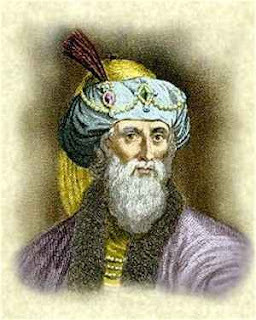 Josephus: the man and the myths. Part I from CPX on Vimeo. Josephus: the man and the myths. Part II from CPX on Vimeo. One thing that most New Testament scholars agree on is that Jesus was a real person who lived and died in first century Palestine. There is a minority, however, that questions whether or not Jesus existed. The suggest that Paul and Gospel writers invented Jesus. They often point to the lack of any evidence (physical and otherwise) outside of the Bible. Mark Goodacre has posted installment number 47 of the NT Pod in which he tackles this question. He addresses the methodological problems related to mythicist skepticism and denying the existence of Jesus. I think it is a fair, and balanced treatment of the question. Coincidently, I find myself with a spare, slightly used copy of Goodacre's The synoptic Problem a way through the Maze (T & T Clark). Leave your name and I will do a book giveaway. You can enter until midnight tonight (Wednesday, Jan 12) and then I will use random.org to choose a winner. 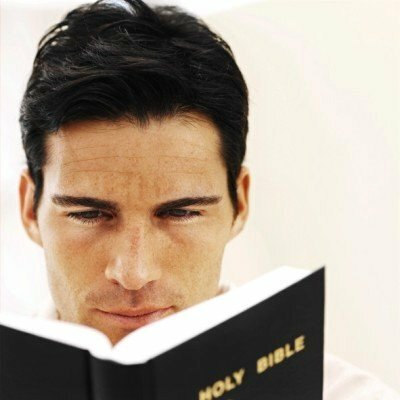 Why I am not worried about May 21, 2011: Reading the Bible and Predicting the End of the World. In December I added a link to a news article about how a Christian radio network was buying advertizing space to declare that the end of the world as we know it will be May 21st, 2011. They are claiming that this is the day the church will be “raptured” and a series of disasters will begin to take place. I had no idea that the post would receive so many visits. Much to my chagrin, it is quickly becoming one of the most read post in this blog’s short six month history. The post where I talked about the way some have connected Zephaniah 1:1-3 with the dead birds in Arkansas has received even more. I am frequently asked what I think of the “predictions” in Revelation and other associated Bible prophecies. So I though perhaps I might explain why I am not worried about May 21st. My reasoning is predicated on how I read the Bible and understand the nature of Bible prophecy. The major source used to predict end time events is the New Testament book known as Revelation. The reason Revelation is often used to predict end times events is because this is what it seems to do. But that is an oversimplification. Revelation represents a genre of literature found in antiquity intended to encourage those who were oppressed both politically and socially. The book of Revelation was written to a group of Christians suffering persecution under Rome and looking for a day when God would turn the tables on Rome and the evil in the world. This literature was intended more to give hope to people in their current situation rather than to serve as a 2000 year old road map to the end of the world. 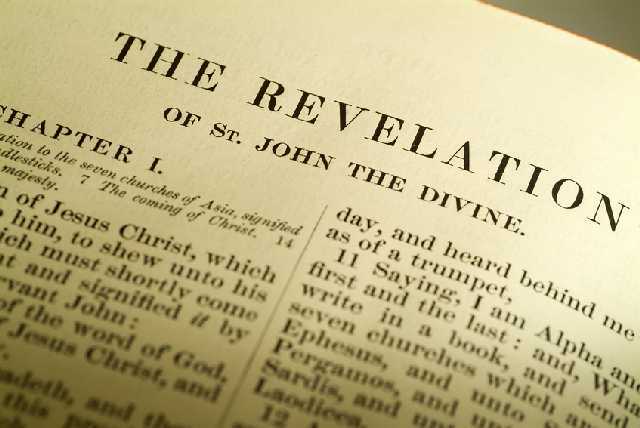 The book of Revelation is an historical document written to a particular group of people at a particular time in history. Moreover, we have a number of examples of this literature from antiquity demonstrating that Revelation is not unique. It is also a religious document that belongs to a certain genre of literature just as epistles belong to the genre of letter writing and gospels to the genre of biography. Since Revelation is particular type of literature, I interpret the symbolism according to that genre. Thus stars falling out of the sky, dragons, conquering armies, plagues and armies of demons or angels are all part of the world of apocalyptic literature. Just as a person going to a horror movie would expect certain elements to occur in the movie (blood, screams, scary monster etc), so to a reader of apocalyptic literature would expect these elements to be present. Therefore, I interpret none of it as predicting actual events, but as symbolic descriptions of how the ancients perceived God working in the world. Apocalyptic literature was a way to deliver a message of hope that God would one day act on their behalf. So is Revelation prophecy? Yes, the author identifies it as such. But the label “prophecy” is not necessarily synonymous with predicting the future. In the Jewish and Christian tradition prophecy had more to do with what God was doing in the present age. Prophecy was more a critique of the people of God than a promise to annihilate their enemies. Even when future events were predicted, it was more about the imminent rather than distant future. Revelation fits this definition. Besides giving hope to persecuted Christians, Revelation is also a social critique intended to warn Christians not to become enamored with the Empire. It opens with letters listing the problems among some churches that seem to reflect their comfort level of living within the Roman social and political system. Revelation reminds the Church that the only true king is God not the Emperor. In the end, whenever that may be, one has to answer to God and not the Emperor. So what does this mean for the modern world? We should not be watching in expectation for the end of the world by trying to connect the dots between Revelation and modern events. To do so is to betray a lack of appreciation for the kind of literature Revelation represents. I am uncomfortable with Christians who are quietly celebrating the humanitarian crises as the fulfillment of God’s end time plan. I think we would be better served if we focused more on critique of the church and its interaction in and with the world. We should be thinking of ways to show the world love rather than looking forward to a secret escape. James McGrath has good post on how much Paul may or may not have known about the historical Jesus. He questions the assumption that the Apostle had no direct contact with or direct knowledge of the historical Jesus. It is worth pointing out, however, that that is an argument from silence. What we know about Paul is that he opposed the Christian movement. We don't know how early he began to do so, nor precisely where, from Paul's own writings. But we do know that Paul had knowledge of the Christian movement prior to becoming a Christian himself. Not only did he persecute it, which requires awareness, but he mentions relatives who were Christians before he was. I enjoy reading about the lives of biblical scholars. I have read biographies and/or autobiographies on Albert Schweitzer, Bruce Metzger, George Eldon Ladd, and Jurgen Moltmann. I found the below essay on von Rad to be as inspiring as the others. Students of church history and biblical studies are familiar with the various attacks that were made on the Hebrew Bible in Hitler's Nazi Germany. 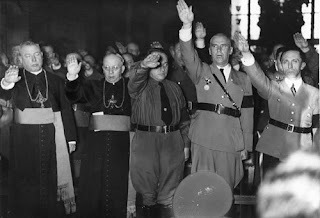 Various pressures and acts of legislation were brought to bear on the church in Germany to bring it in line with the Nazi ideology. Resistance to this pressure was expressed through the formation of the Confessing Church. Prominent German theologians also resisted the pressure. Karl Barth and Dietrich Bonhoeffer were among those who helped to draft and sign the Barmen Deceleration which opposed Nazi Christianity. Barth left Germany and Bonhoeffer was executed over a failed attempt to assassinate Hitler. Their actions stood in stark contrast to many other theologians who readily joined the Nazi party and swore loyalty to the party. Not all German theologians chose to resist the same way, however. Gerhard von Rad, respected Old Testament theologian, resisted the Nazis from within the German academy. In the face of constant pressure from both the government and many of his colleagues, von Rad insisted upon the importance of the Old Testament for understanding Jesus. While the German church and many theologians claimed that one could understand Jesus without the Old Testament, von Rad argued the opposite. On academia.edu, Bernard M. Levinson has uploaded an essay entitled "Reading the Bible in Nazi Germany: Gerhard von Rad's Attempt to Reclaim the Old Testament for the Church. In it Levinson examines von Rad's scholarship in the Nazi German context. Here is an excerpt. Although von Rad had completed his Habilitation (at Leipzig under Albrecht Alt), it seems likely that his appointment to Jena had little to do with academics, but rather was based on an assumption that he was a member of the Nazi party and that he sympathized with German Christian ideology. Several factors contributed to this impression. One was almost certainly his early association with Gerhard Kittel, the Protestant theologian whose devotion to National Socialism has long been recognized. Von Rad served as OT edi tor of the influential Theological Dictionary of the New Testament (Theologisches Wörterbuch zum Neuen Testament). Perhaps the most important factor was von Rad’s early membership in the Sturmabteilung (SA),the so-called brown shirts, which had a quite high middle-class membership, including theology professors. I am not particularly troubled by this membership, which may have been motivatedmore by professional necessity than by personal allegiance. He resigned from the SA in 1937. In any case, even before he went to Jena, von Rad was giving public lectures stressing that there is no access to Christ except through the OT. Had this material been read, it is hard to imagine that he would have been appointed. The use of ideology as the primary qualification for academic office continued with the next appointment, Heinz Eisenhuth, in 1937 as Professor of Systematic Theology. Walter Grundmann, the author of Die Entjudung,was appointed to the NT Chair without his Habilitation, and before the publication lists of two much more qualified candidates had even arrived, let alone been discussed. Von Rad fought a losing battle in resisting faculty appointments of this kind, fruitlessly complaining to the State Ministry, who of course supported the process. In this way, by 1937, the radical German Christian Church movement controlled three of the six academic chairs in Jena’s Faculty of Theology. They were often able to force a majority that effectively controlled the direction of the Faculty of Theology, leaving von Rad and Waldemar Macholz, Chair of Ecumenical Studies, as minority dissenters. The majority within the Faculty of Theology began systematically to reshape—and subvert— the historically rich German theology curriculum. Hebrew was the first target. Jena became the first theological faculty in Germany to eliminate the requirement for theology students to study Hebrew. In announcing this resolution, the faculty explained that in the study of Jesus Christ, the study of the OT could be set aside. Von Rad and Macholz opposed this move, arguing that the OT was critical to understanding Jesus, but once Macholz retired in 1938, the resolution easily passed. 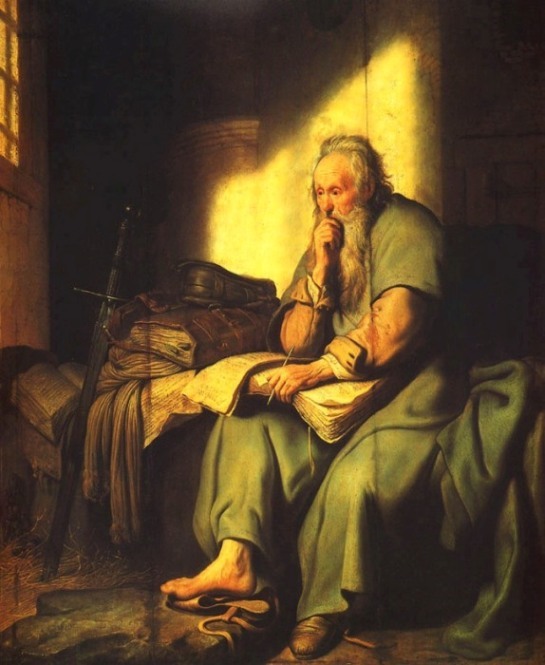 That retirement left von Rad completely isolated in his passionate commitment to the OT as Christian Scripture.